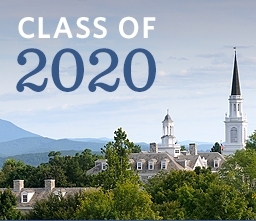 MIDDLEBURY, Vt. - Middlebury College has offered 338 students early admission to the Class of 2020. Chosen from a pool of 636 applicants, the admitted students will represent about 49 percent of a class that is expected to total about 685. “We had an incredibly strong early decision applicant pool this year,” said Greg Buckles, dean of admissions. “The Class of 2020 is off to a great start. “We are pleased that 25 percent of those admitted are students of color–the highest percentage of students of color admitted through early decision in Middlebury’s history,” added Buckles. The College deferred 74 applicants, who will be considered for regular admission in the spring, and denied admission to 221 students. While 320 of the newly accepted students will enroll in the fall of 2016, 18 will begin their first semester at Middlebury in February 2017 through the College’s February Admissions Program. Last year Middlebury College received 667 applications for early decision and admitted 280 students. Buckles said that the 338 students accepted to the Class of 2020 are from 34 states, Washington, D.C., and 13 countries. The College will award up to $4 million in need-based financial aid to students admitted early decision. Students learned of their admission by logging onto a special website starting at 8 a.m. on Saturday, December 5. Mailed letters arrived at their homes last week. The 338 accepted students applied to Middlebury as Early Decision 1 applicants. Traditionally a small number–about 300 students–also apply through the Early Decision 2 program. The deadline for Early Decision 2 and for regular admission applications is January 1. Middlebury notifies Early Decision 2 applicants in mid-February and regular decision applicants in late March or early April.